In true Christmas spirit, My Little Box have delivered the ultimate edition for this month. Filled to the brim with beauty tutorials, holly-jolly recipes and gorgeous gifts, complete with spicy scents and a candy cane! Christmas is all around me!!!! 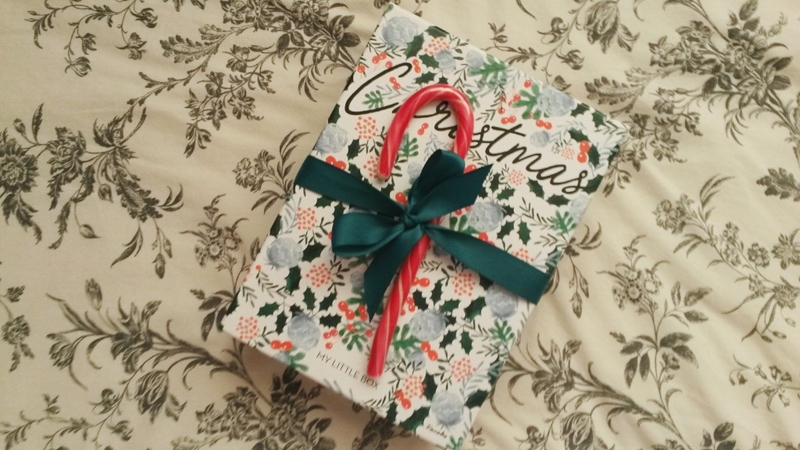 When you imagine waking up on Christmas morning, you imagine, snuggly pyjamas, crackling fire, a wild hope that there'll be snow on your rooftop. The smell burning wood, feasts being prepared, and roasting chestnuts. 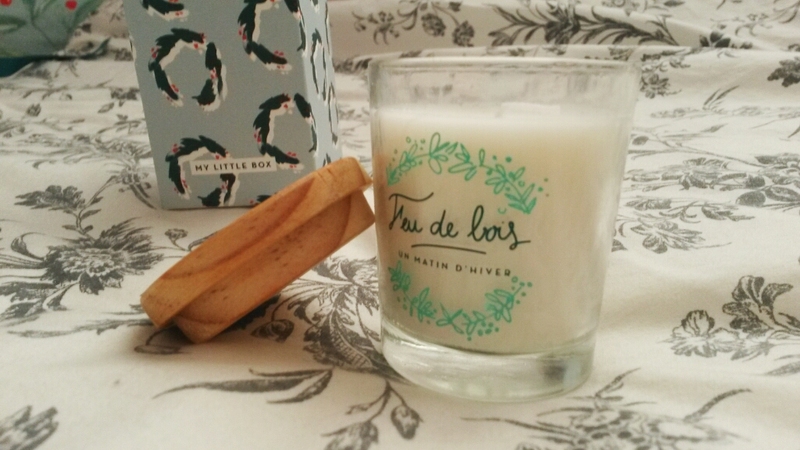 Designed exclusively for MLB, this candle will instantly whisk you off to that winter morning dream. Another piece designed exclusively for MLB. 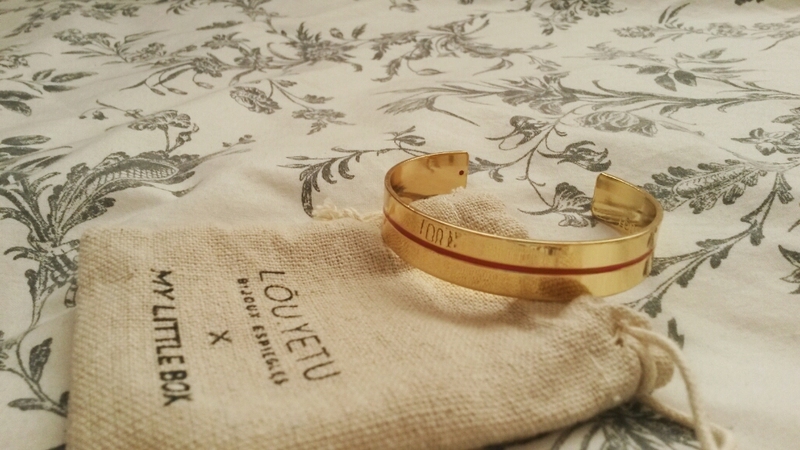 teaming up with the French box this month is Lou.Yetu, to design a golden arm cuff. Lou.Yetu is a company who creates gorgeous, dainty, golden jewellery which are all handmade and are priced quite reasonable. The piece designed for MLB is adjustable and can be worn with almost any style and any event. Now, I don't know about other countries, but here in England, Christmas is a time where we all consume way to much food. The dinner itself gets pretty extravagant, and then on top of that, there's all the delicious sweet treats we just can't resist. This month though, maybe try something new, something a little different. 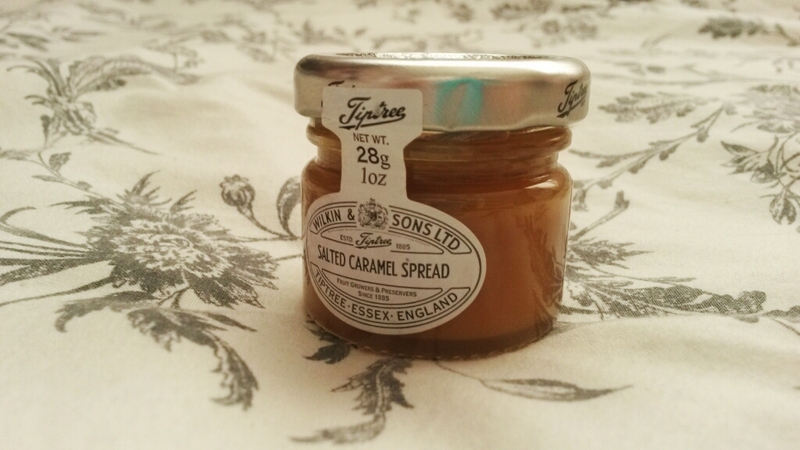 An indulgent dollop of Tiptree's Salted Caramel spread on top of almost anything. It's melt in your mouth syrupy sweet without being too sickly. 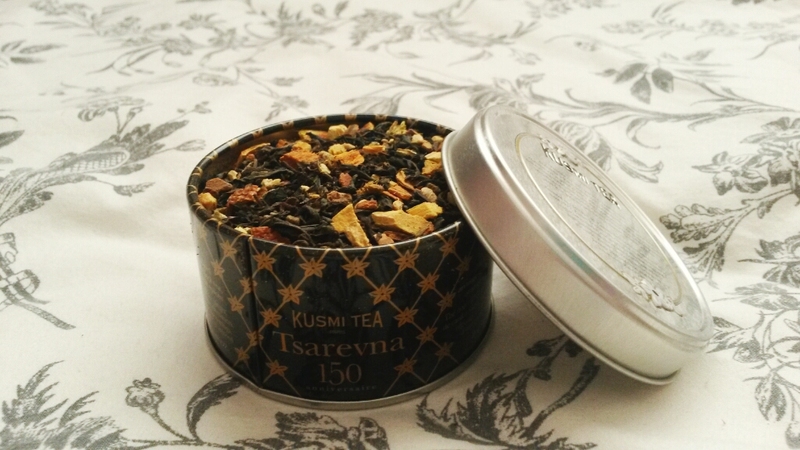 MLB have worked with Kusmi Tea before, so it's no surprise that they've added their limited edition, Christmas inspired, Tsarevna blend into this months box. Perfect for cold winter mornings, this blend is a majestic mix of orange peel, warm spices, black tea and liquorice. Think sitting by a fire, snuggled up in a blanket with your fave Christmas movie on, drinking this. Perfect for any tea drinker. This almond shower oil by L'Occitane helps to hydrate and nourish your skin, leaving it feeling and looking more soft and toned. Almonds are well known within the beauty industry for their ability to firm and refine. During the winter months, your body goes through a lot of wear and tear. Dry skin becomes more prominent and stress and exhaustion can also take it's toll. 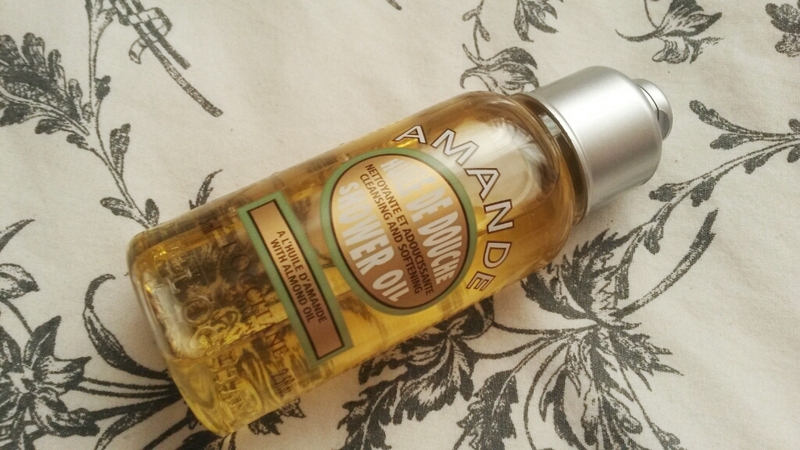 So relax with L'Occitane deliciously tempting and wonderfully effective Almond shower oil. Much like the tea and candle before, Courregges have created a scent perfect for the winter months. 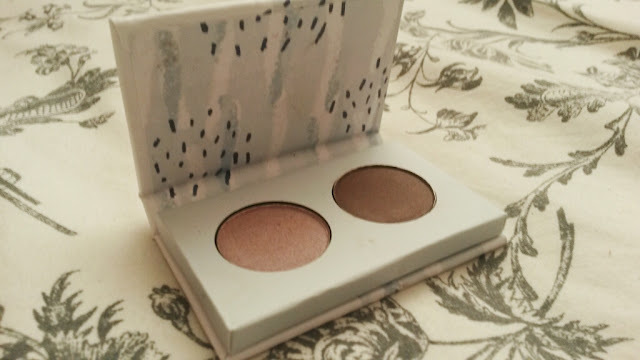 An alluring fragrance filled with an explosion of warm spices, vanilla, and cacao. 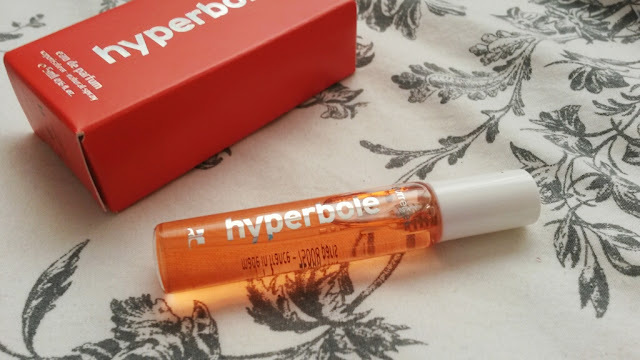 Deep yet feminine this perfume give you an edge throughout those Christmas parties. MLB have done it again! A tiny duo eye shadow palette to see you through the winter holidays. 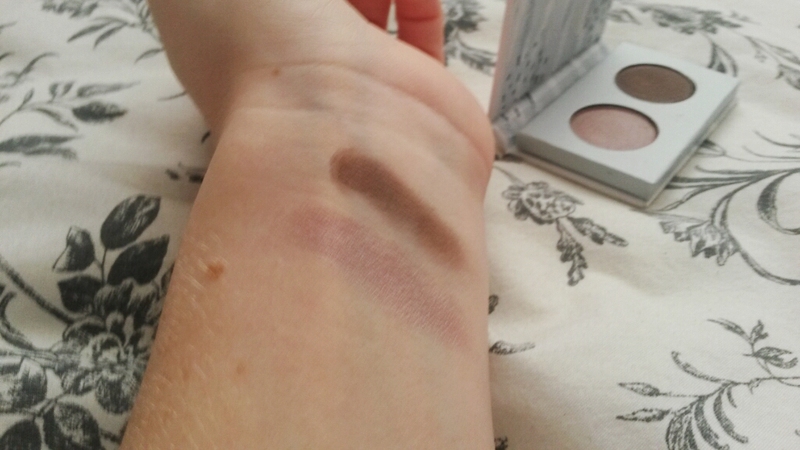 To easily achieve this bombshell look, MLB have provided two colours- a shimmery taupe and a deep chestnut- to help give you sultry smokey eyes. Also, small enough to easily travel around with you!! This months box was just incredible. 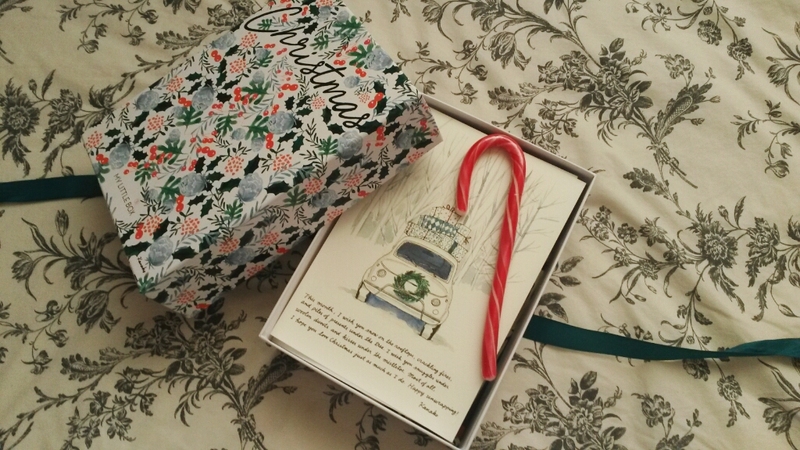 Filled with beautiful surprises and a couple of extra goodies for the Christmas season. P.S. How cute was the candy cane attached to the front?! Listening to: Charli XCX- Boom Clap.